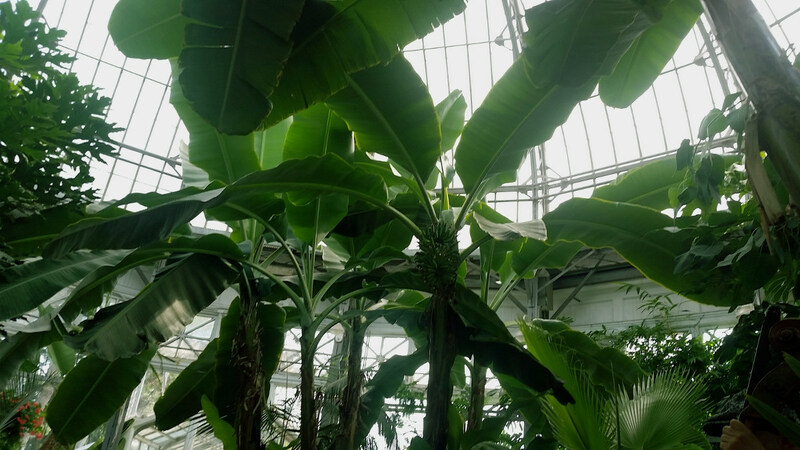 Recorded at Allan Gardens (Intersection – Day 4), September 4, 2017. In recent years, the Intersection Festival would normally consist of a paid concert, usually the night before the day-long extravaganza in Yonge-Dundas Square. This year, however, under the continued guidance of Burn Down The Capital's Tad Michalak, the festival expanded to four events, including a pair of concerts at The Jam Factory. New this year, and bringing things to a most delightful conclusion, was this free afternoon inside the conservatories at Allan Gardens, mixing a variety of performers into the varied microenvironments — despite the crowds filling the greenhouses to the brim, it was a wonderfully serene occasion. 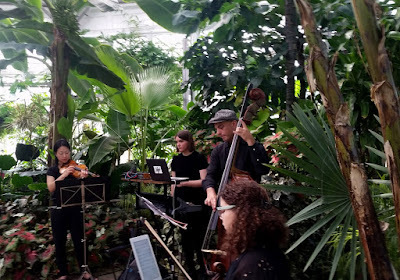 Castle If's Plant Material album was definitely an inspiration for this whole event, so it was truly satisfying to see her close out the festival with a couple pieces (including this brand-new one) arranged for string trio. The bassline from "Sansevieria Trifasciata" sounded particularly tasty coming from Adam Scime's double bass, and overall, the mix of strings and synth was entirely satisfying. Under the big dome of the Palm House, this worked on so many levels — a chance to hear an accomplished songwriter re-imagine herself as a composer not being the least of them. Hopefully Intersection will be able to find their way back into these environments.